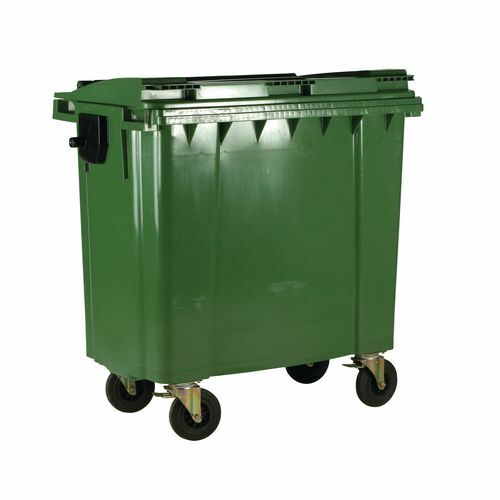 Ideal for an outdoor waste solution these 4 wheeled bins without lockable lids are fast to re-position and easy to deposit waste into, just lift the lid and drop your rubbish in. 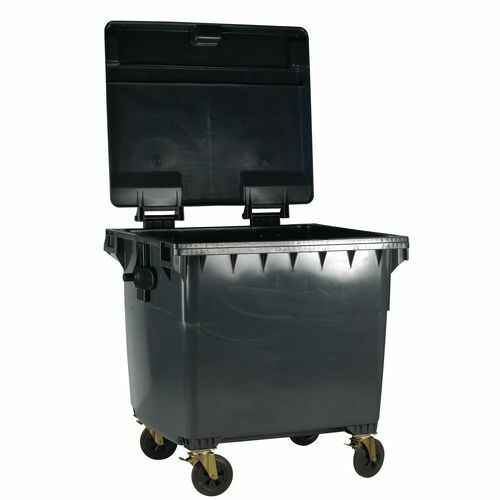 Great for any business with a need for external waste storage, being on four castors provides effortless mobility through tight spaces. Made of UV stabilised polyethylene makes them dependable for longer life use and also ensure it can with stand the elements, along with the colour resisting fading in sunlight. With a capacity of 1100L the dimension of these bins are a height of 1450mm by a width of 1400mm and a depth of 1200mm. It is available in green, yellow, blue and grey, allowing for colour coded environments and comes with a 12 month guarantee.